forgive me for the lack of posts..i've been out of town. 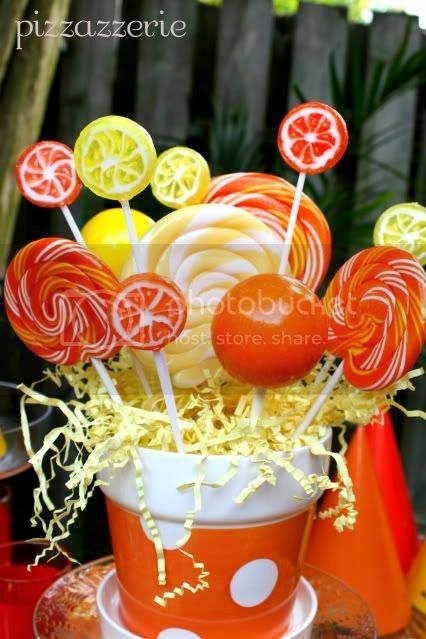 i love the adorable lollipop centerpiece...what a fun way to decorate for a party! 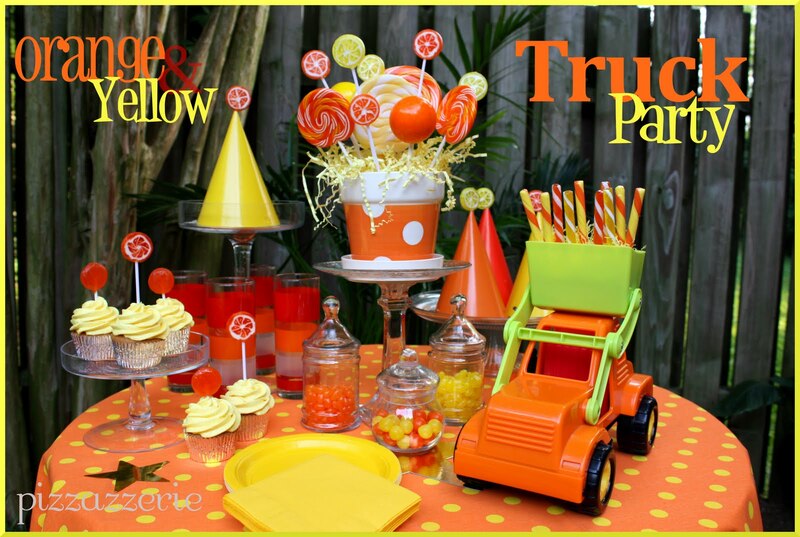 this dessert table is so simple, yet so original and fun! 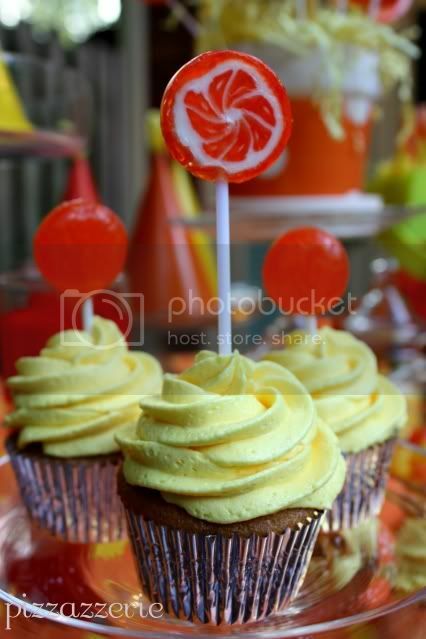 congrats on being the winning feature today! great party! This party is so cute, I love the centerpieces! 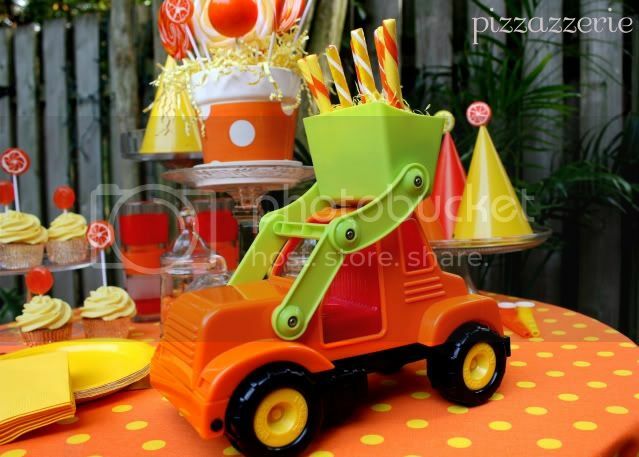 I love the dumptruck used as a serving piece! Great colors! 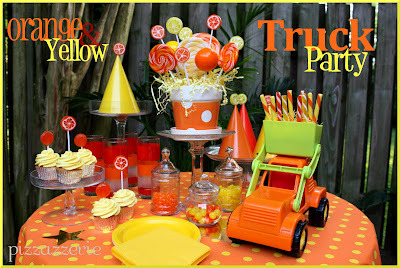 I love these colors!!! So cute!!! I lov your blog! Congratulations! Just wanted to say thanks for all the inspiration I've been getting from here. 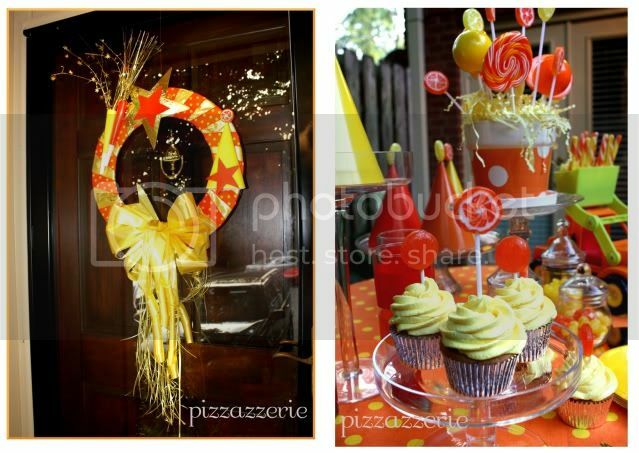 We celebrated my daughters 2nd birthday this weekend with an orange, red and pink party. It was great!